Q: What is window tint film? A: Window tint is a thin, multi-layered polyester material that incorporates the many different layers to control different properties, including Ultra-Violet (UV) light, heat,glare and privacy. 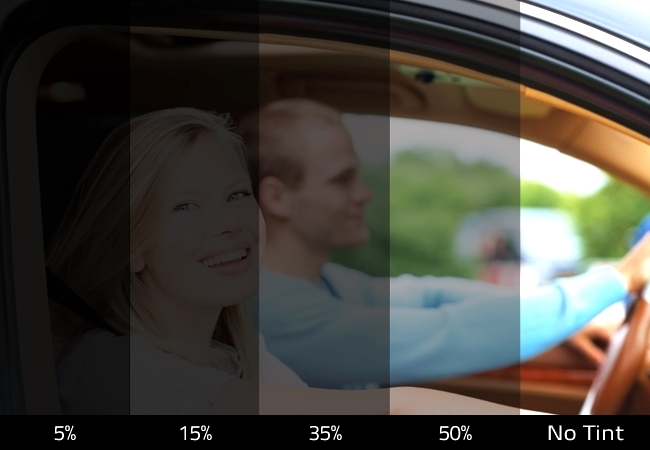 Window tint comes in a variety of performance levels and shades. Q: What are the benefits of window tint? A: The many benefits of window tint include eye comfort,UV protection,aesthetics and increased safety,privacy and energy savings. Q: Window tint is applied on the outside of the window? A: No. In most cases, window tint is installed on the inside of the glass. This allow for maximum durability.